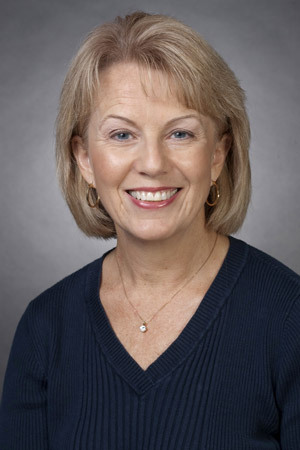 Susan Yorio supervises undergraduate and graduate student clinicians in the Department’s on-campus speech and language clinic. Her primary clinical focus is in the areas of child articulation, phonology and language disorders, and child and adult fluency disorders. She is certified by the American Speech, Language and Hearing Association (ASHA). Yorio serves as an advisor to the University of Wisconsin-Milwaukee (UWM) National Student Speech, Language and Hearing Association (NSSLHA) chapter. Prior to her employment at UWM, Yorio worked primarily in the public schools in Nebraska, New York and Wisconsin. Within the school setting, she collaborated with regular education and special education teachers to establish increased understanding regarding the link between speech and language skills and literacy skills. Lifetime Achievement Award (2017) Wisconsin Speech-Language Pathology and Audiology Association (WSHA). Student Mentor Award (2015) Wisconsin Speech-Language Pathology and Audiology Association (WSHA). Byoung Kim Teaching Excellence Award (2012) College of Health Sciences, University of Wisconsin-Milwaukee. Outstanding Educator Award (2001) Mequon-Thiensville School District. Outstanding Special Educator Award (2000) Wisconsin Council of Administrators of Student Services.